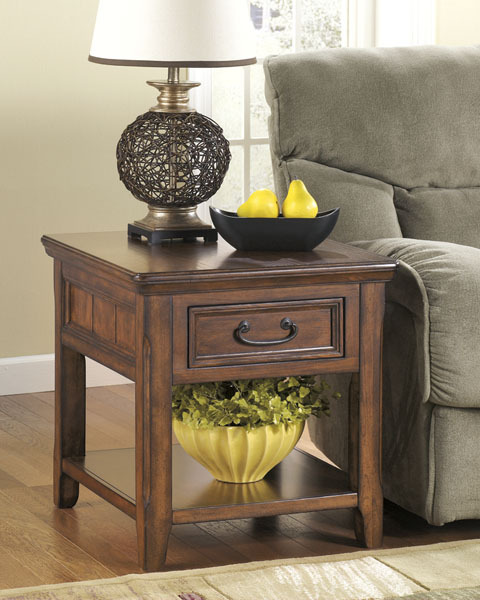 Made from select hardwoods and oak veneer. 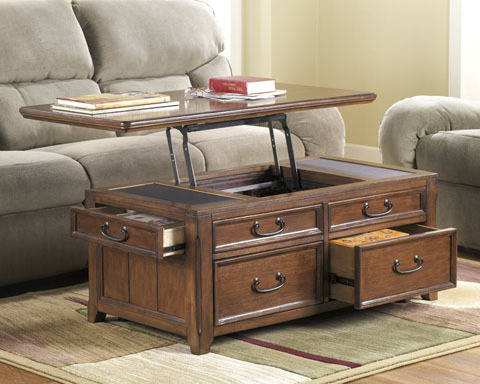 Coffee table has drawers on all sides, casters below and has lift top function. 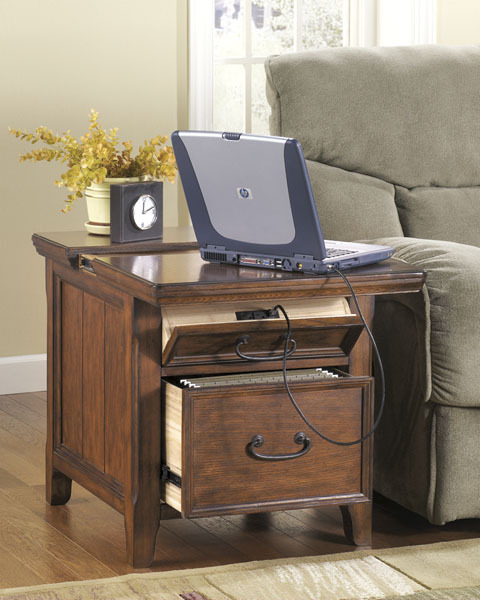 End table work center has file cabinet base. Half the tops pulls out to reveal lap top or media storage. Front tilts open to reveal lap top port with internet connection. 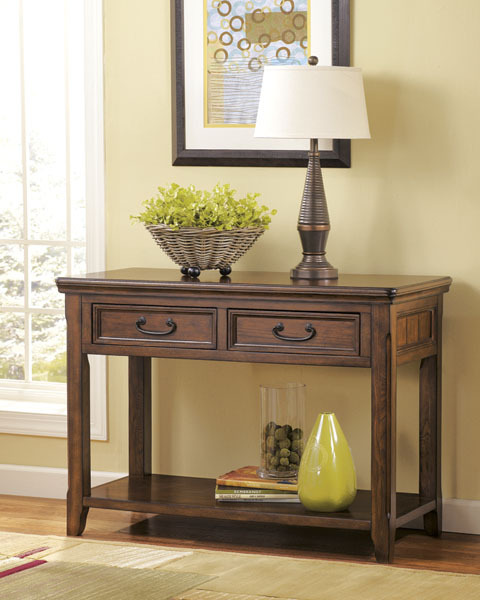 Of all the furniture stores in East Tennessee , Ogle Furniture has the best selection of the SIGNATURE ASHLEY-Woodboro Item Series #: T478. This item may also come in various sizes, styles, or colors. Please ask one of our representatives if we have the specific color/style you are looking for.